Hello there! I got a little busy yesterday and managed a shopping trip, a craft project and a recipe write up all before P even got home from work. It was so lovely to be at home doing the things I love, one after the other. 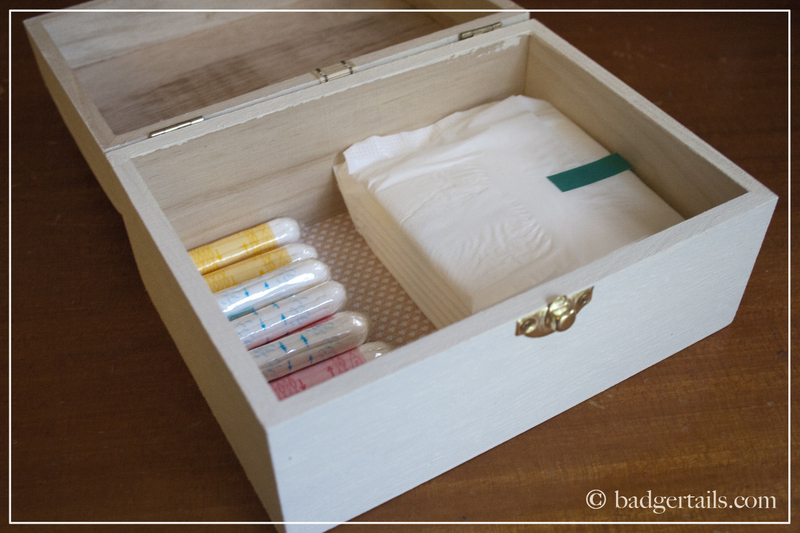 Take your box (I got mine as a twin nesting set from QD) and unscrew all of the fixtures. Take both halves outside (or where you don't mind making dust) and sand down with a fine grain sheet of sand paper. Blow off all excess dust and bring inside. Lay the halves on a sheet of old newspaper and paint with the colour of your choice. (If you are worried about steam damage, you can buy bathroom / kitchen paint that is made to cope with this. Both of our toilets are separate from our shower so I used standard Dulux paint). 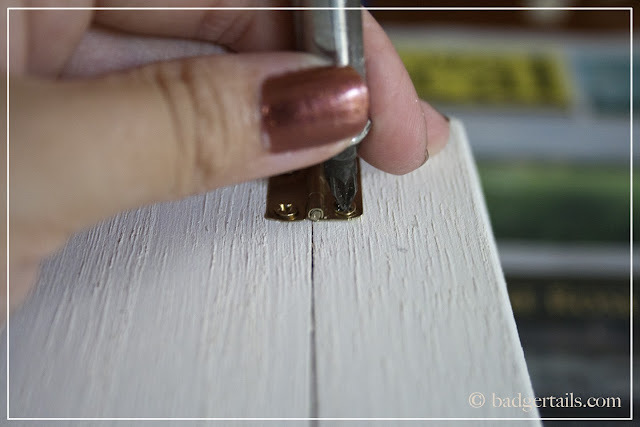 I painted mine in Orchid White and decided to only do one coat, as I liked the way the rough grain was showing through slightly. If you want to create a smooth, solid surface of colour, paint two or three coats, sanding each coat once dried. (Apart from the final one). 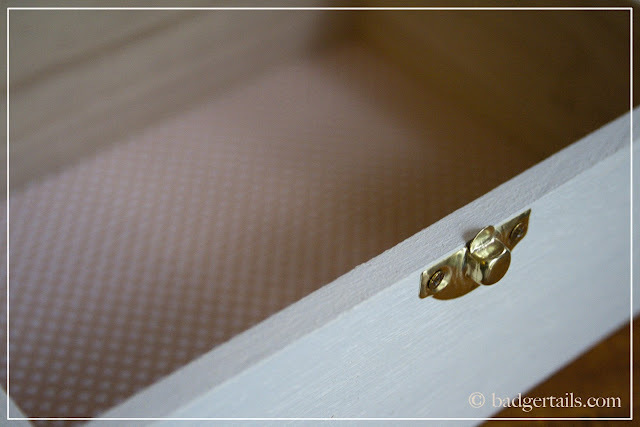 Once all coats are dry, use a strong PVA glue (I use High Tack by Impex) to stick the ribbon to the front of the box. 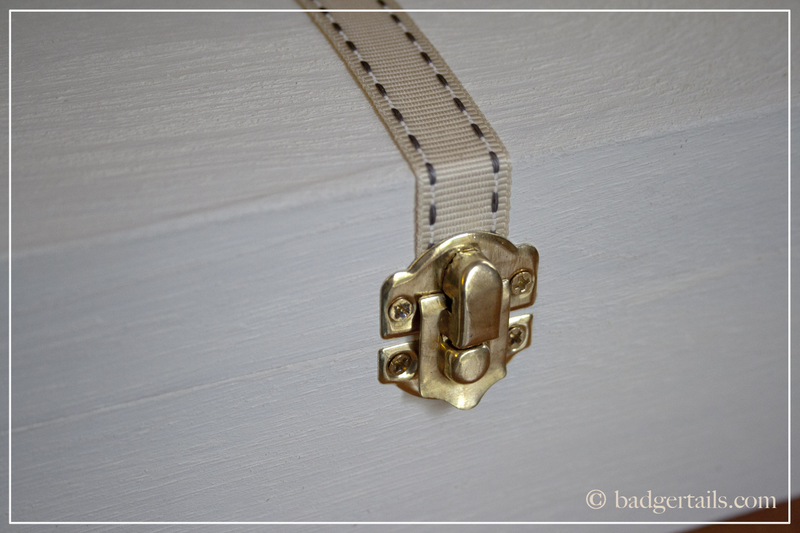 I positioned mine in between the screw holes of the clasp, so the end would be hidden once the fixtures were back on. 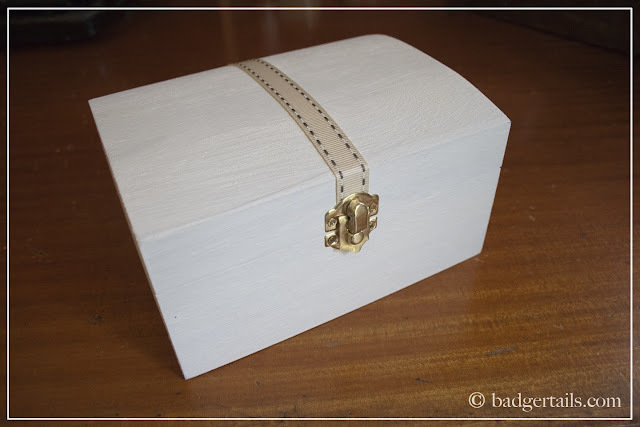 Stretch the ribbon across the top of the box to the back and under the rim, gluing in place inside the lid, out of sight. 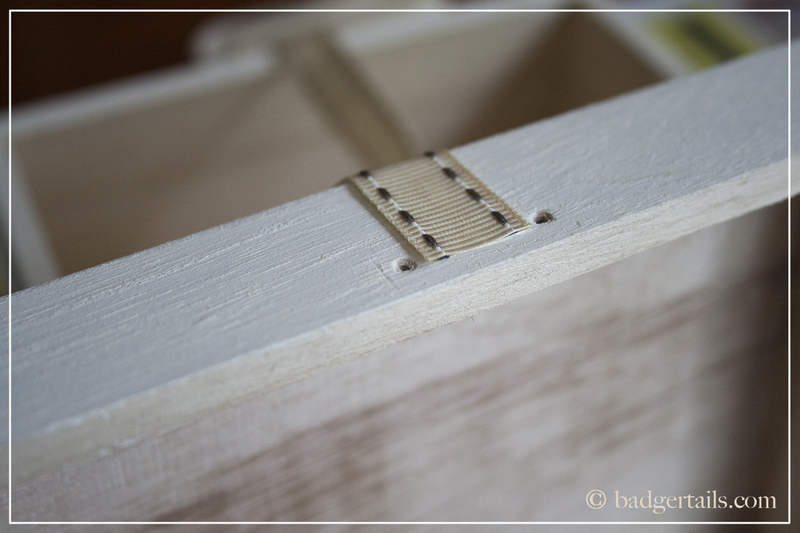 Next, carefully screw the hinges and the clasp back on, being careful not to slip and dent the wood. This look reminds me of the old trunks with the belts around them. If you want that look, I'd recommend a dark wood stain and vintage style or leather-look ribbon. Lastly, measure out your paper and cut to size. Gently press into the bottom of the box, trimming the edges more if necessary. I chose not to glue mine in as gravity will hold it, and it can then be changed if I fancy something different. 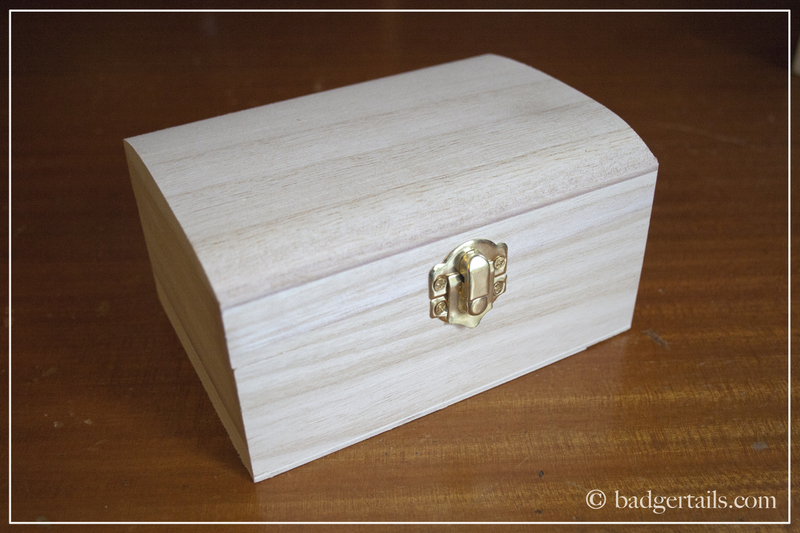 You can now place the box on display in your toilet or bathroom and fill with your monthly essentials. It will look discreet but also serve a very handy purpose for you and your ladies! 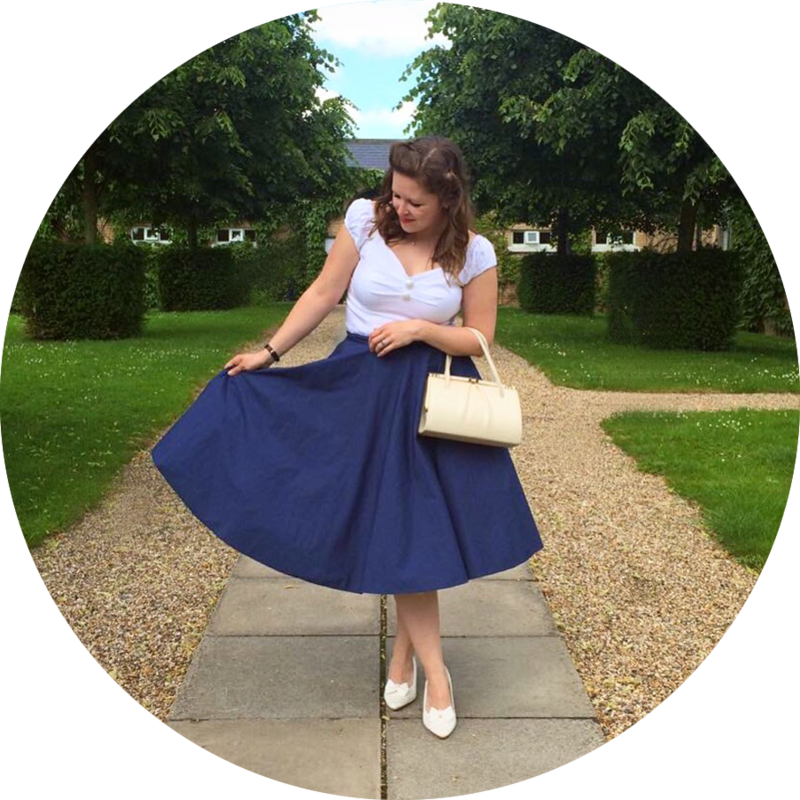 I chose to keep mine plain and simple with no outside colour and a neutral ribbon; I'd like to try and avoid the temptation for any men to have a nose inside! 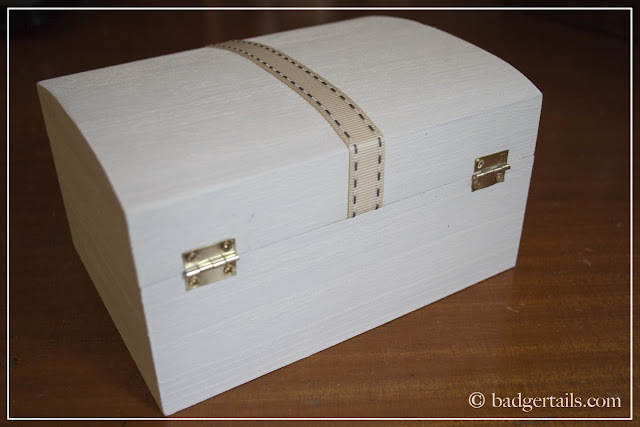 I hope you've enjoyed my first proper craft tutorial, albeit it a mini project. Oh wow, that turned out so pretty. 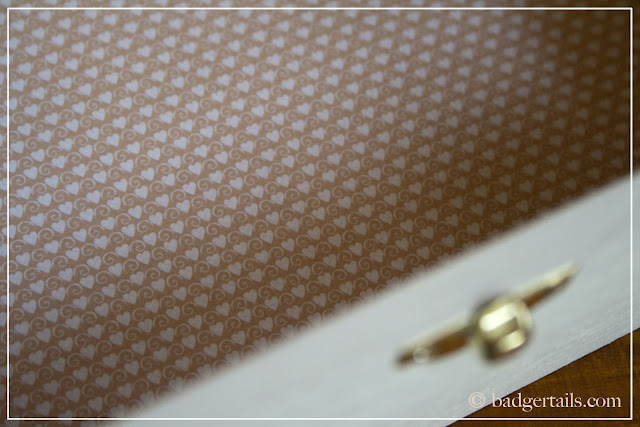 I love that ribbon across the top and the decorative paper inside. Such a cool way to have things you don't want seen out and available. Hey Amy, thanks for the lovely words! I can't remember where the ribbon was from but it's most likely Hobbycraft, as is the paper! :) Thanks for popping over! Much prettier than boxes of, well.... you know what!